Well, I think it is safe to say that Sawyer is officially done with purees. He refuses almost all of them now and wants his big boy food. 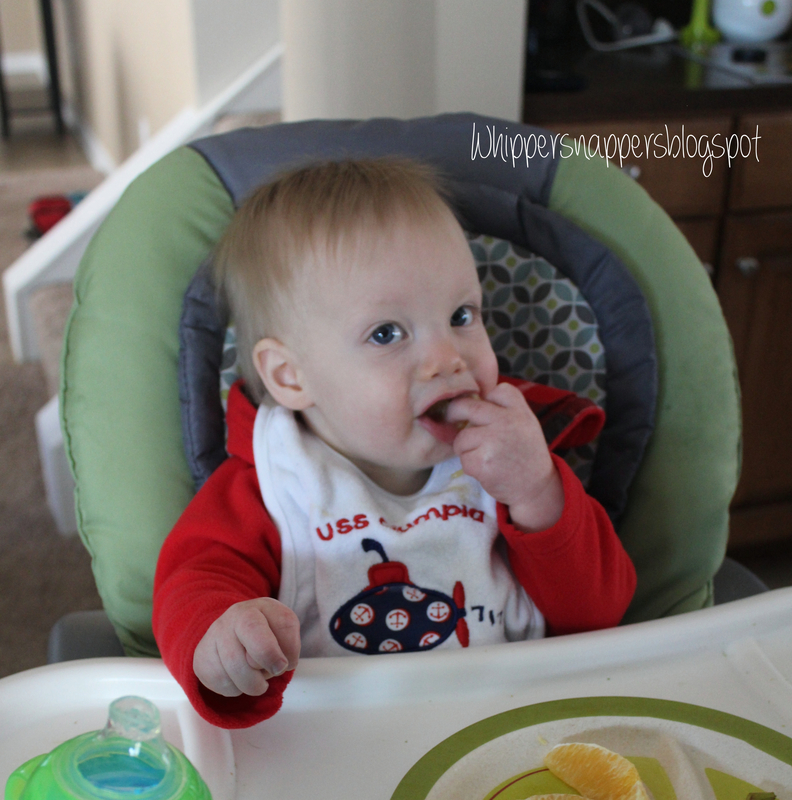 He is only 10 months and it amazes me the foods that he is eating already! I feel kind of sad about it but it is also fun to whip up new and fun lunches each day and not always just doing purees. I do keep a few around though to mix in with his cereal in the mornings since he is still eating baby cereal pretty often. So I will mix in a pureed fruit or veggie into his cereal. So…my son’s new thing lately is LOVING something one day, and throwing it on the floor the next with a look of complete disgust. That can be a bit frustrating and it has taken a bit of trial and error lately. LOTS of error 😛 But…lots of success too, and on things that I actually didn’t expect him to be to fond of like quinoa! Just last night he figured out that he could take a piece of food, reach behind him and drop it down his shirt. So that’s been real interesting! 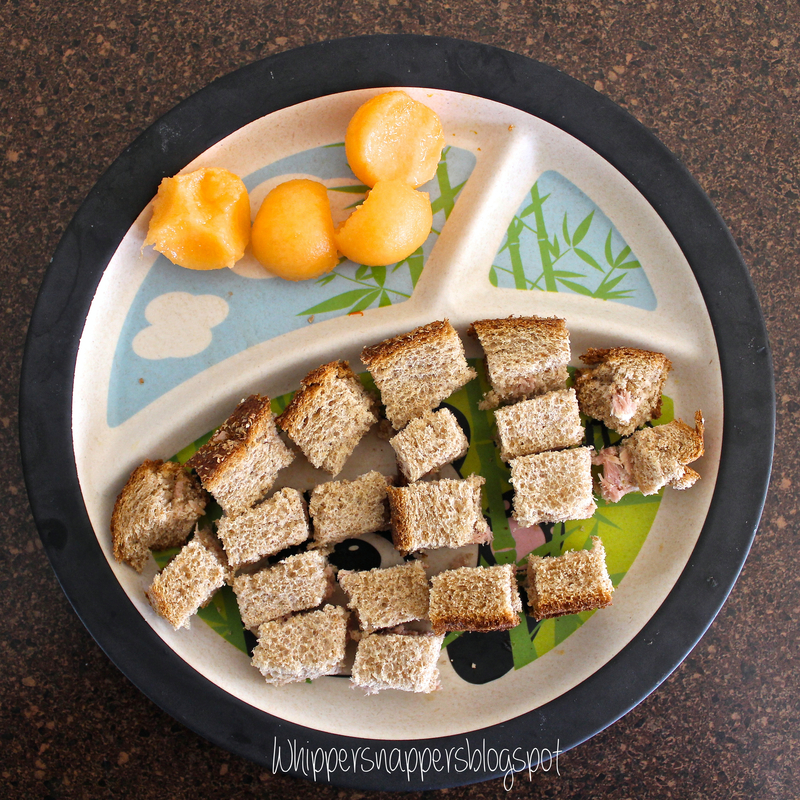 Usually most kinds of sandwiches he will gobble right up so here are a few things that we have tried. 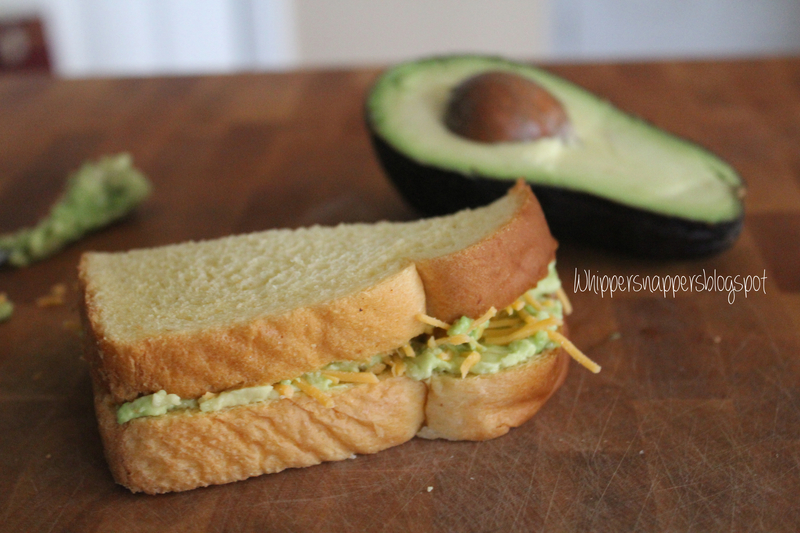 Simply mash however much avocado you would like to use and sprinkle with shredded cheddar cheese. 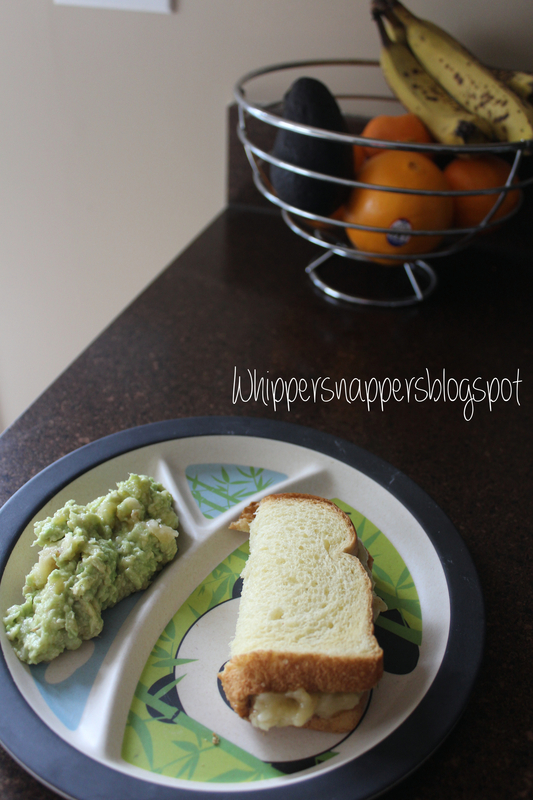 This one was really good and would be even better on toasted bread! 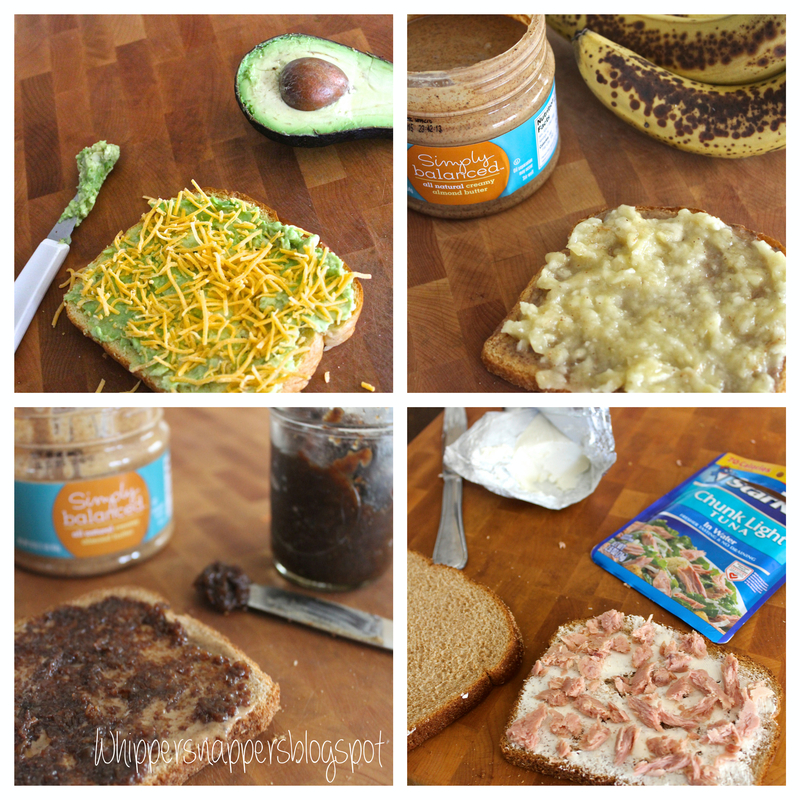 I used mashed banana and almond butter for this and my son absolutely loved it! It contains two of his absolute favorites: bananas & almond butter! I make this a lot with peanut butter too, I like to switch it up! The mushy lump of stuff on the plate is what I like to call Banavocado 😛 Rest of the mashed up banana and some mashed avocado. Doesn’t look all too great but for some reason my son will not eat plain slices of avocado at this point. 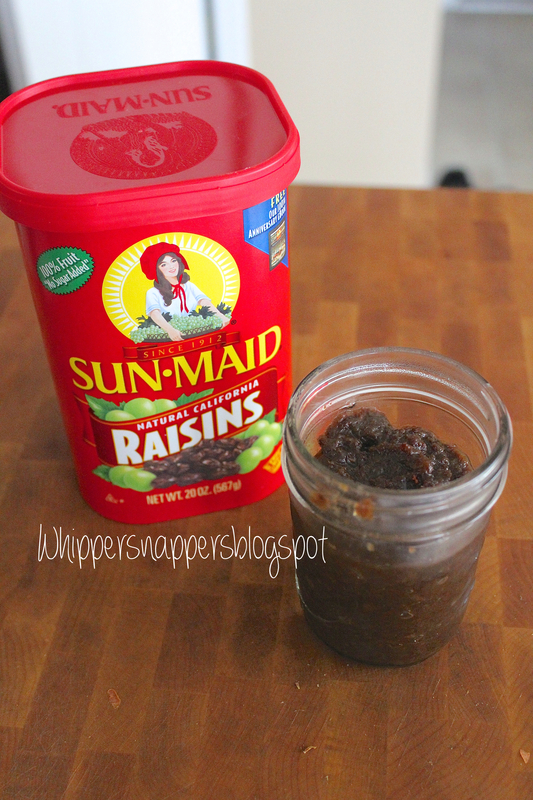 I made a raisin puree by boiling a handful of raisins for about 5 minutes and blending them in the blender with some water. You wouldn’t even need to boil them if you don’t want but they blended a bit easier that way. I just used a package of plain tuna and some cream cheese. Took Sawyer a bit to get used to the tuna but ended up eating quite a bit of it! Wow, Christmas always sneaks up on us but this year it really has come up extra quick! It is going to be my little guy’s very first Christmas! He is going to be 9 months old and I am so overly excited to be able to share all of the holiday traditions with him! I have such wonderful memories of Christmas from when I was little and I want to pass those on to my son as well. So many people have said, “Oh he won’t even remember this Christmas!” Helloooo…it’s my son’s FIRST Christmas! I realize he will not remember anything and you betcha I understand that the wrapping paper will be way more fun than the gifts themselves but that’s okay!! It’s his first Christmas, which makes it a special one. Even though he doesn’t really know what is going on, he is going to enjoy it in the moment! What are some Christmas traditions that you and your family have? 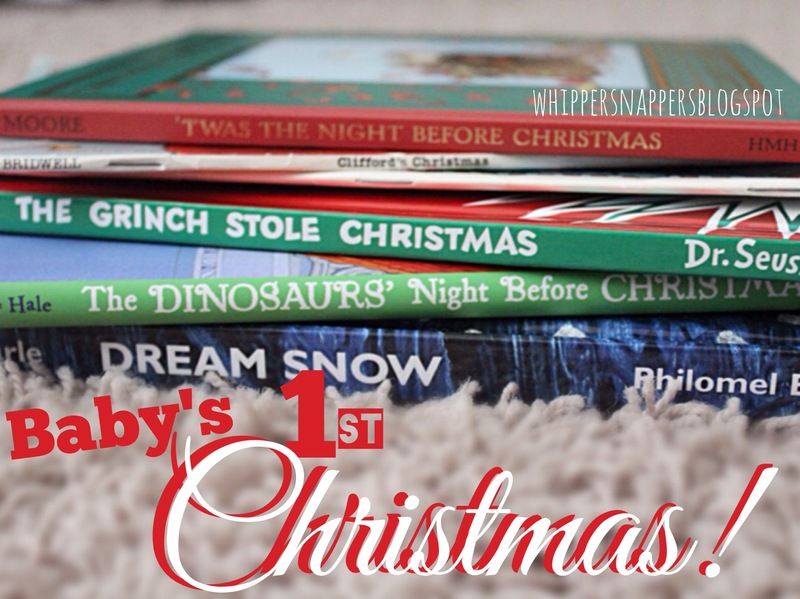 Here are a few ideas to do with your little one of their very first Christmas! 1) Go sit on Santa’s lap! Okay, of course they can’t tell Santa that they have been good this year but it sure does make for a memorable first Santa photo! I thought FOR SURE my son would take one look at Santa’s scary beard and bust out balling! But to my amazement he looked up at him in awe and just stared. I got the BEST picture of them looking at each other and I know I will love looking back at this. Get a few children’s Christmas books to read throughout the holiday season. This is perfect because you can pull them back out every year and as they get older they will appreciate them more and more. Not to mention they will recognize them and you can start a tradition with it! There are endless options! We walked in to a small local bookstore and they had a few cute ones I had never heard of. Bookstores or libraries may also have story times around this time of the month with holiday stories. Pinterest has many great ideas for this! Use a footprint or handprint to make an ornament. I bought a plain empty ball ornament at a craft store that I am going to stick things in like his hospital hat, bracelet and a photo. 4) “Help” put up Christmas lights! 5) Decorate a Christmas tree! When I was little, we always went out and picked out a real tree to cut down! We didn’t do that this year but we plan to in the future! 6) Drive around looking at lights! Depending on how festive your neighborhood is you may just be able to drive around the area and have fun looking at all the bright lights in the evenings. However, most places have an actual set up to drive through and enjoy the lights. 7) Attend Christmas events in your area! 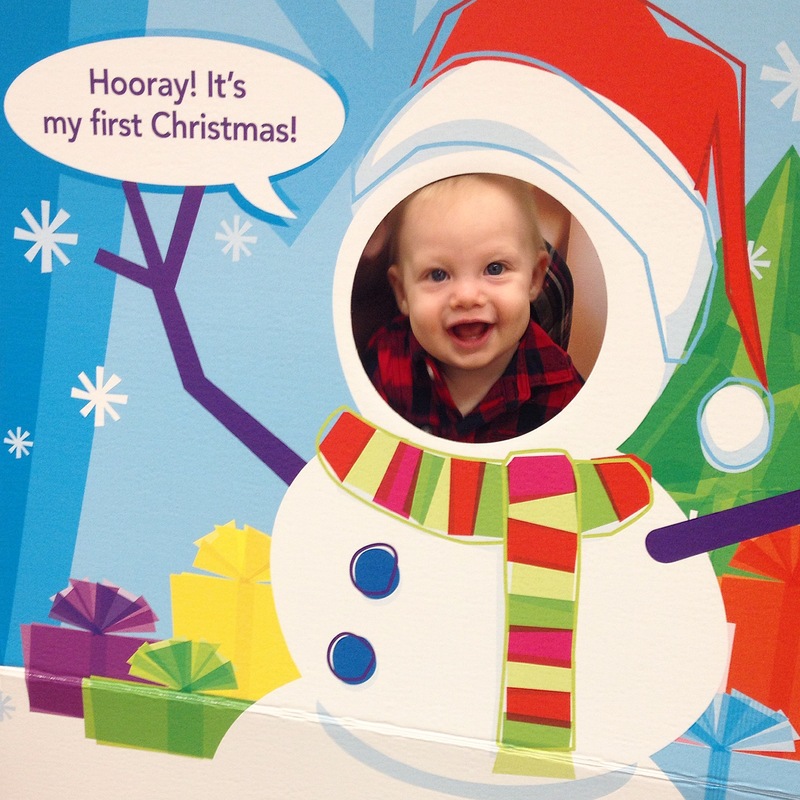 This year Babies R Us did a Babies 1st Christmas event! There was a craft, a Christmas story and a raffle for prizes. Wasn’t anything major, but still cute and fun to go to. I’ll admit, I’m one of those where the second November hits, the Christmas music starts rollin’ in! 9) Play in the snow! If you’re in an area that gets snow, let them check it out for the first time! We recently moved to South Carolina so it’s unlikely we will actually get snow but thankfully we went to Iowa over Thanksgiving to visit family so our son got to see snow for the very first time! He was really checking it out and stomping his feet in it! 10) Make holiday treats and desserts! I love baking and I don’t know how many other people do this or not but I like to put my son in the front carrier while baking and he loves it! 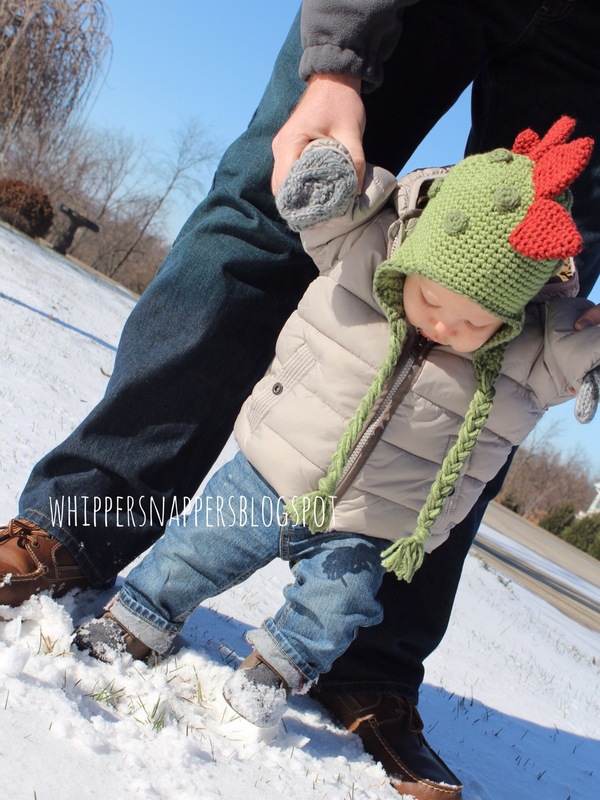 You will want to always remember your baby’s first Christmas! Plus it will be fun to bring back old photos to show to them later when they are older. 12) Watch Christmas Movie Classics! Get some of the classics like Rudolph the Red Nosed Reindeer and Frosty the Snowman. There is also the original animated version of How the Grinch Stole Christmas. 13) Start Elf on the Shelf! 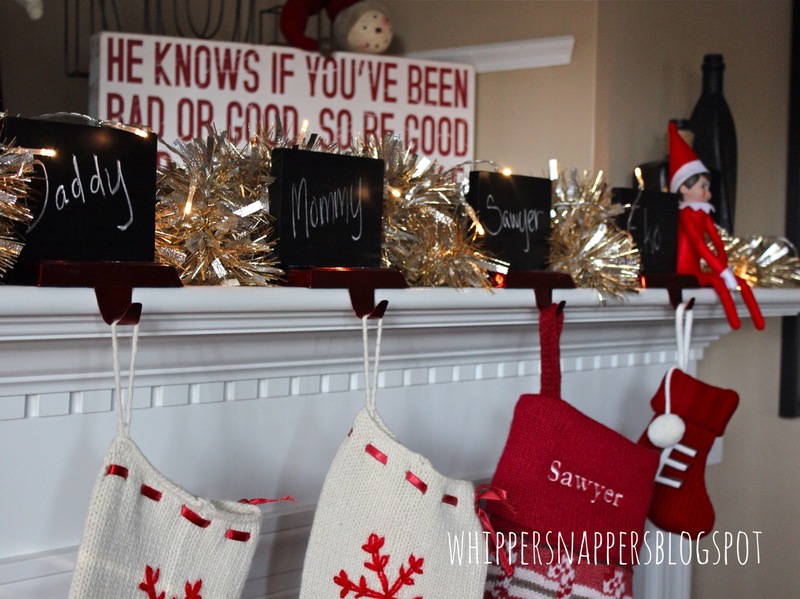 You could wait until they’re older to really do Elf on the Shelf games and so that they can name him or her themselves, but it may still be fun to get out and read the story! It is never too early to start Christmas traditions with your family. That is how they learn and come to understand the traditions! Carry on traditions that you and your family have always had or maybe start some new ones! Don’t hold back simply because they won’t remember. Enjoy your baby’s first Christmas!